Labor Day Weekend is behind us and with that all our white shirts and dresses. 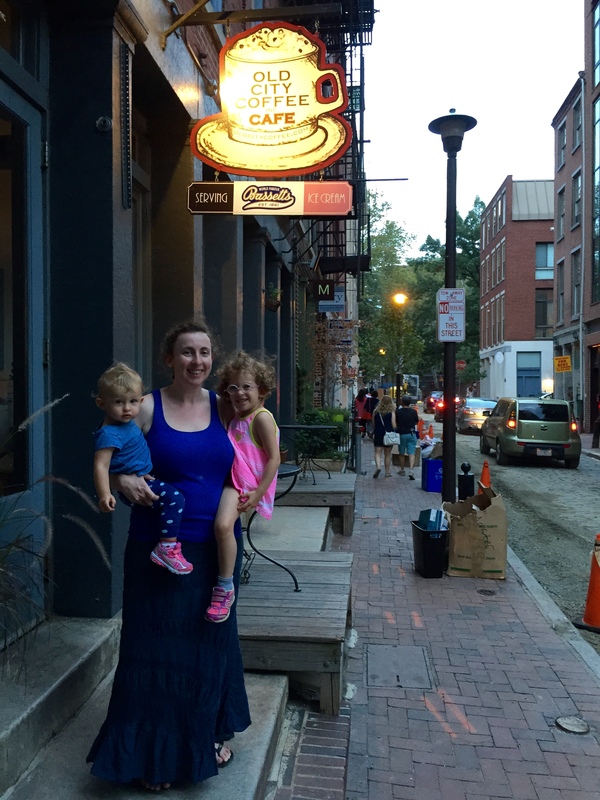 We are switching gears and hunkering down for the fall and the beginning of school. A three day weekend (3.5 day in my case) was the perfect way to bid adieu to summer. We kicked the weekend off early on Friday starting with what has become our monthly tradition—a tour of the galleries open for First Friday. The girls really love to see the art and we enjoy seeing how First Fridays have evolved into such a big event. Sophia and I spent a bit of time at the Clay Studio at their STEAM (Science Technology Engineering ART & Math) exhibit. There, Sophia and I tried our hand at making a clay boat that floats which involves a bit of engineering know-how. While we engineered to displace enough water with our clay vessel, Evan and Eliza were buying art. As a side-note, Eliza exclaims “Wow!” every time she likes a piece of art. Maybe she’ll be a collector. Saturday the kids visited my parents for the day while Evan and I had some time to ourselves. There was of course a bit of cooking, baking, cleaning, and laundry. 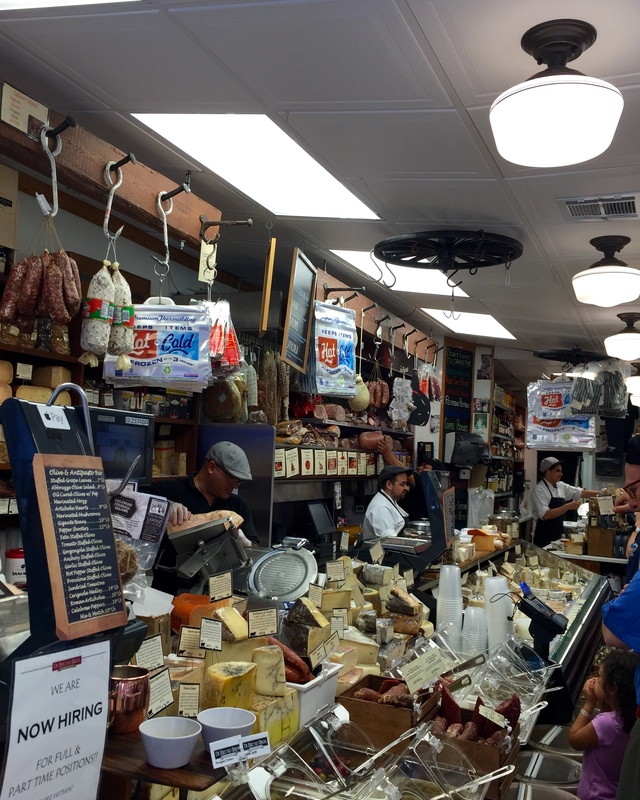 But there also was a morning stroll in the Italian Market which started with coffee and culminated with a trip to DiBruno Brothers for charcuterie. We also went to the ever-popular Fishtown neighborhood and checked out (new to us) Frankford Hall. While we enjoyed visiting Philadelphia’s most well-known neighborhoods, the kids had a picnic and visited a farm in Wilmington with Baba and Deda. Sunday was spent visiting Grammie and Pop and going to a family birthday party for my two little cousins. We had such a good time at the birthday party where, for the first time, all the kids played together and without much adult supervision. They enjoyed exploring the ample play spaces my cousin has set up at her house and the beautiful back yard. As I look back on the picture of all the cousins (ranging in age from 11 to 1) lined up for a yearly photo, I cannot help but realize that they will grow up playing and create memories together. This closeness our kids have learned from us and our parents, and this they will perpetuate to their own children. This closeness isn’t innate, it is bred and taught by example.